The truth is, Dr. Kreuter and colleagues will do whatever it takes to get people in the door to donate blood — especially when foot traffic at the Blood Donor Center slows. "It really hits us in the summer months," Dr. Kreuter says, attributing that slow-down to trips, vacations and other summer activities. To help reverse that trend and get more of us off the sidelines and into the blood donation game, Dr. Kreuter spoke to reporter Lauren Oster and offered “7 Things You Should Know before You Donate Blood." Here are a few highlights. You get a built-in health exam — Dr. Kreuter's team at the Blood Donor Center gives all donors a once over (including checking pulse rate, blood pressure and red blood cells) to make sure donating won't have any adverse effects on their health. It really doesn't hurt — Dr. Kreuter says the needles used to draw blood are "made to glide and be quite comfortable," and adds that, "after that initial stick, you're not going to feel anything." You're saving lives — Those who benefit from blood donations include trauma and cancer patients, and people having life-saving surgeries. That includes the youngest among us. "A lot of kids need blood in the first couple of minutes of life," Dr. Kreuter tells ABC. "Sometimes with newborn babies, an emergency platelet transfusion in the first few moments of life is absolutely necessary." 'Donating your voice is vital, too' — Once you've donated blood, you can double your impact by encouraging others to do the same. "Hearing about blood donation from a friend or colleague is very motivating in getting [potential first-timers] to think about taking that next step," he tells ABC. And with a donor population that skews "older," Dr. Kreuter and his colleagues are "trying to reach out to the younger generation to start having the same blood donation habits." In 2002, arriving in Minnesota, I went to the area doing blood donations run by Mayo Clinic. Filling out the questionaire on paper checking Yes to insulin question, I was told that I could not donate. The FDA has & still has regulation that restricted anyone taking beef bovine insulin from cows that was common in UK. Insulin un US was older Beef/Pork insulins, purified pork or Human insulin. When I spoke to the head of donor center at Mayo Clinic, he smiled saying “Let me see what we can do”. Three months later he sent message about returning to the donor center when I donated the first pint Type O Red at Mayo donor center. I put the sticker about donating bloid that day where I worked. Some asked that had been turned away for insulin inquired about my donation. I said they should go to donor center. Even if you are not allowed to donate after the health checks, they offer the treats. I am currently in the over 6+ gallon Type 0+ Blood donor that I call the Triple header when the blood is seperated to red cell, platlets and plasma so a physician can provide exactly the right component o blood for their oatient. 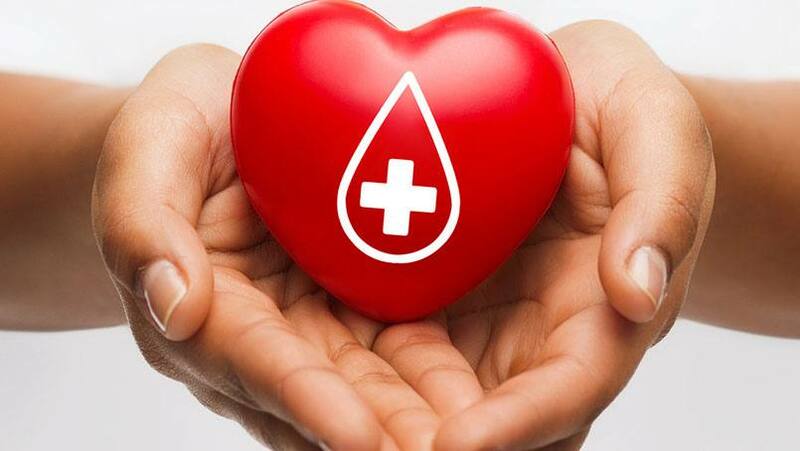 The patient first for the recipient, as well as, no health impacts for the donor is key to blood donation at Mayo Clinic, like all medical care.